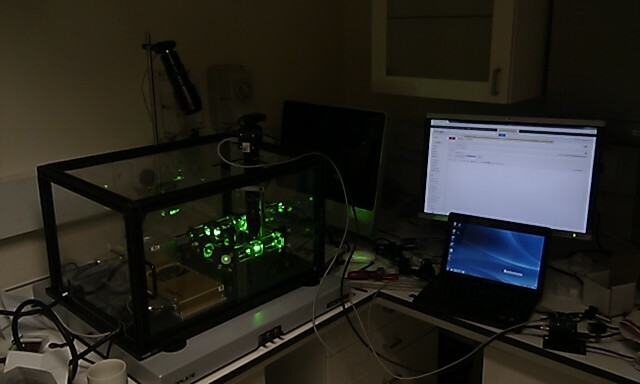 The Quantum Workshop is now fully wired. Check out the image below. 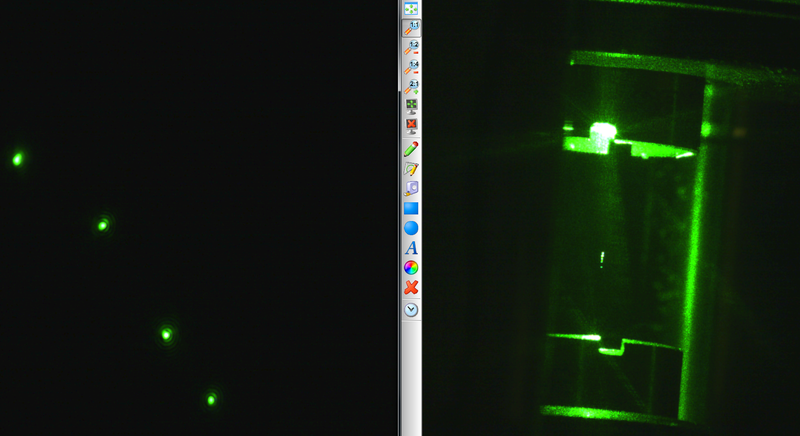 On the left we see a microscope image of a string of particles levitated in the laser trap, and on the right a zoomed out image, showing them on a real scale (the size of the whole image is about 2cm). The apparatus is now armed with computers and cameras galore! You can find a (slightly gloomy…) photo of the lab below. Next job: tidying! 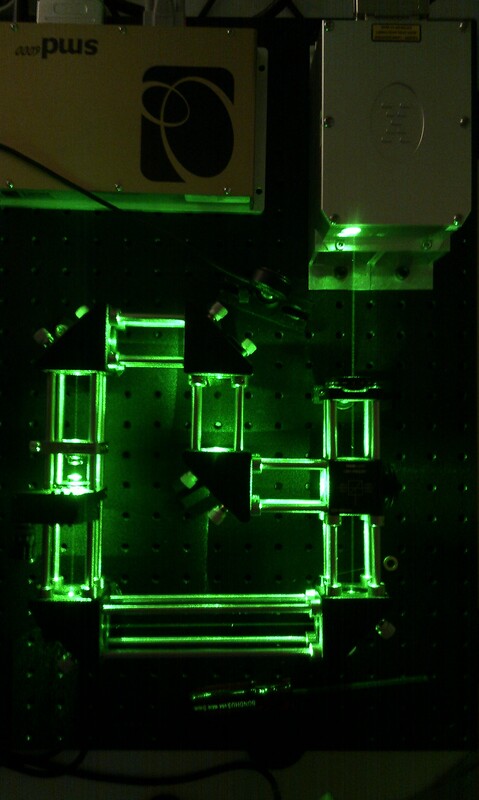 The Quantum Workshop is levitating! 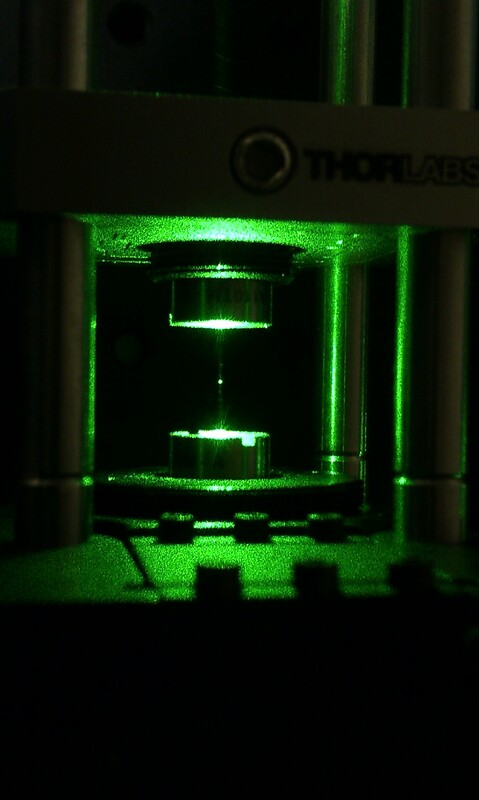 The Quantum Workshop is alive and kicking, look at this cool photo of a single levitated sphere! And for an idea of the bigger picture here are all of the optics, with the trap being the particularly bright region on the left. The laser is in the top right, cutting through the air!